The Stunning eGo Spinner Variable Voltage 1300mAh rechargeable battery with 5-click child lock technology. Goes from 3.3 Volts all the way upto 4.8 Volts so that you can find the throat hit that is just right for you! Slightly more robust than the eGo Twist batteries, the Spinner has an easier to see dial and feels great in hand. 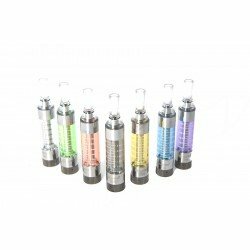 Whats the point of variable voltage ? Do you cook your meals at the same temperature? No of course you don't and vaping is no different, each fluid has an optimum temperature at which it will provide the very best flavour and throat hit. We like to refer to this as the "Sweet Spot". So sit back relax and take your time finding out the best temperature for your flavour. The spinner is amazing and will totally open up a new world of vaping for you. 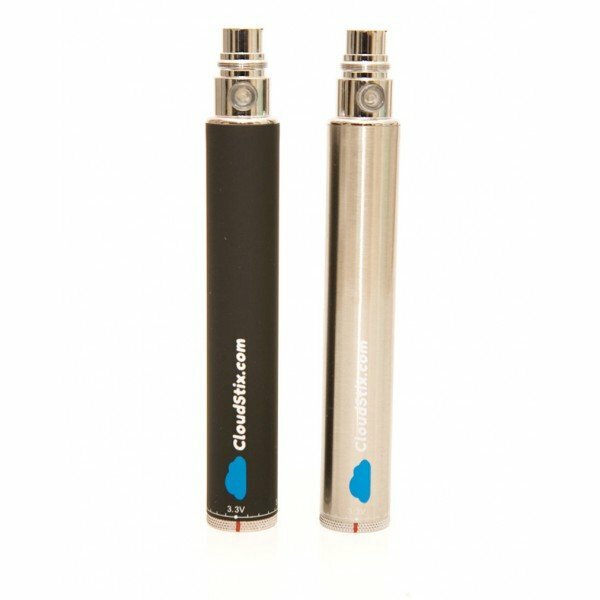 Will the Vision Spinner battery work with my electronic cigarette ? This battery has a standard 510 / eGo fitting and should work with any compatible thread providing you have a suitable coil. This product comes with a 28 day parts replacement warranty. Purchasers should be aware that our Electronic Cigarette Atomizers and Rechargeable Batteries, although made to the highest quality are functional devices that may fail or degrade over a period of time, especially if in constant use (An Electric Cigarette Atomizer's natural lifespan is around 20-60 days and an Electronic Cigarette Battery's expected lifespan is around 120-150 days). It is highly recommended not to keep the battery in a tight pocket or rear pocket such as jeans as the warranty does not cover accidental damage. In a tight pocket the battery can break when sitting down. Many users of the Electronic Cigarette also purchase 'spare' Atomizers and Batteries prior to completing their purchases at Checkout. DO NOT CHARGE THIS BATTERY USING A PLUG ADAPTER THAT OUTPUTS OVER 1 AMP. NEVER LEAVE ON CHARGE OVERNIGHT.